Hightex® Dynamic managed to capture majority of the end consumer repair market in Malaysia. Beside capturing the end consumer repair market, we also managed to penetrate into corporate client such as Parkson Grand, JW Marriot Hotel, Famous Amos, Rapid KL, Canon, Habib Jewels, British America Tobacco, etc. and also deal with construction company namely, ECH Development Sdn Bhd, Lumina Kiara Sdn Bhd, Foong Leong Builders, etc. Our shutters are well accepted in International market. 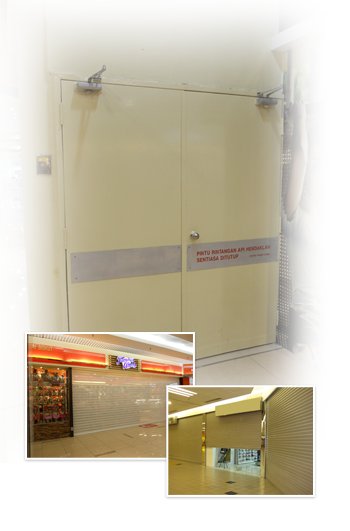 Hightex® Dynamic's test report - WARRES 304863 is a 4 hours fire resistance roller shutter doors, this report is highly recognized in oversea countries.